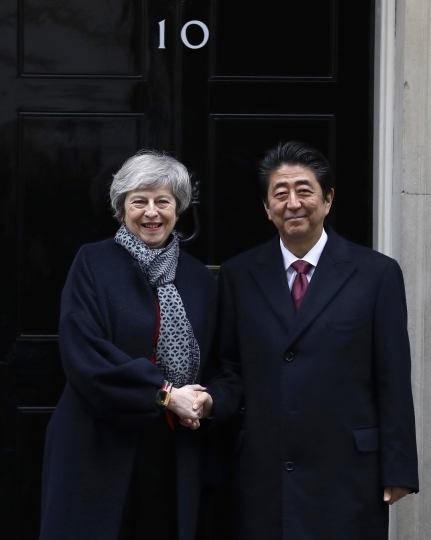 LONDON — Japanese Prime Minister Shinzo Abe has urged British lawmakers to back Prime Minister Theresa May's Brexit deal, saying "the whole world" wants Britain to avoid leaving the European Union without a deal, to ensure trade continues smoothly. 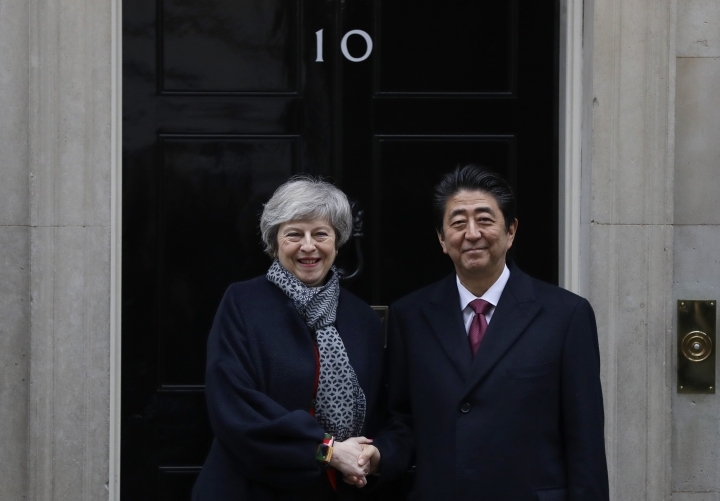 Abe's words, on a visit to London Thursday, were a boost to May, who is struggling to win support for her deal in Parliament. 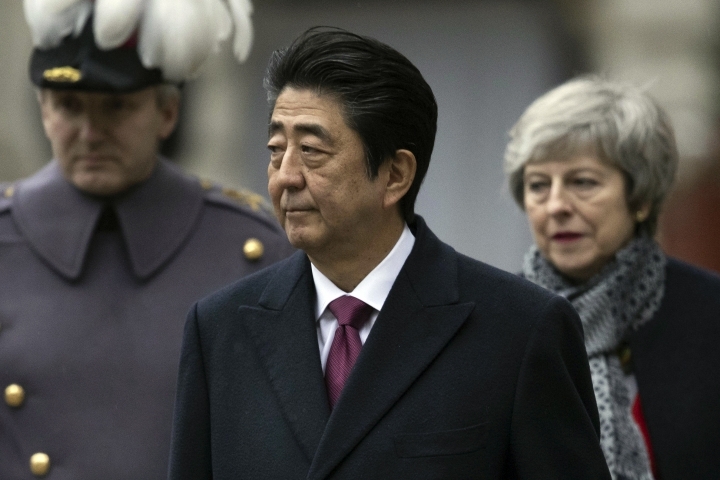 Lawmakers are due to vote on the agreement Tuesday, and all signs suggest they will reject it, adding uncertainty to Brexit less than three months before Britain is due to leave the EU on March 29. 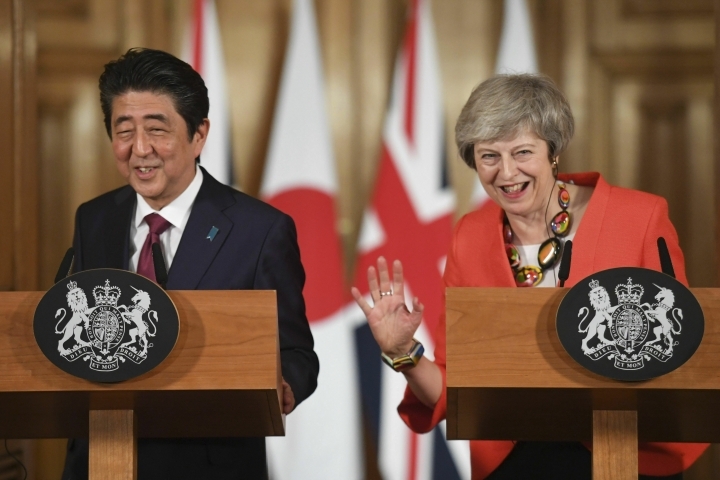 "We truly hope that a no-deal Brexit will be avoided. 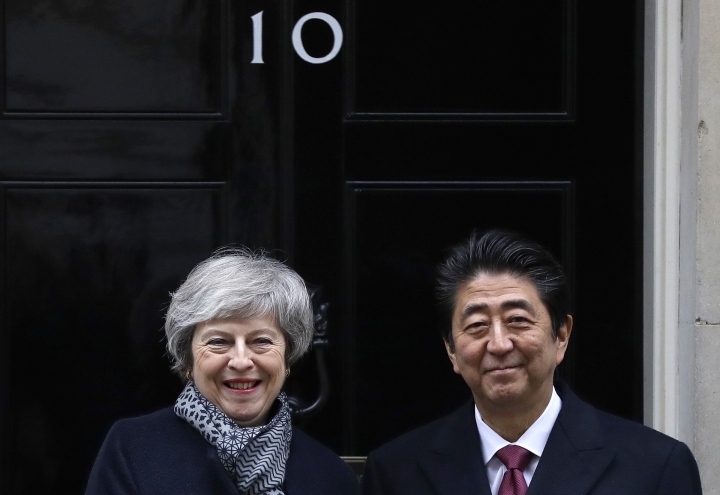 In fact, that is the wish of the whole world," Abe said. 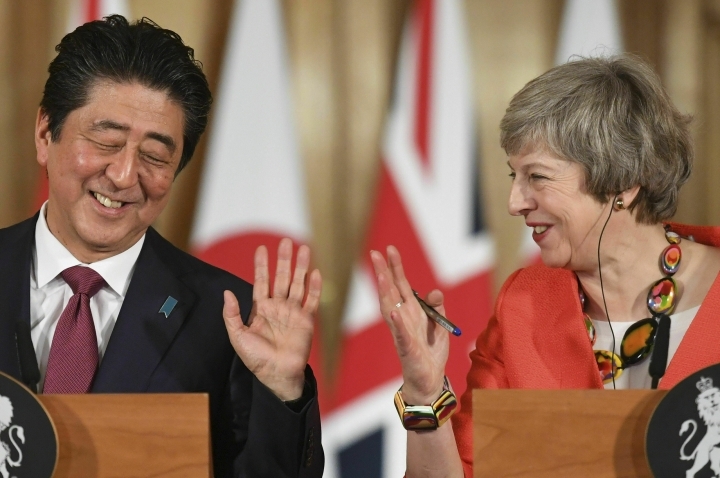 Warning of the economic impact from a no-deal Brexit, Abe said Japan considers Britain "the gateway to the European market" and Japanese firms employ more than 150,000 people in the U.K.
Major employers include automakers Nissan and Honda, who rely on "just-in-time" delivery of parts from across Europe to factories in the U.K. Honda says it plans to stop production at its factory in the western English city of Swindon for six days in April to deal with potential border delays. U.K. lawmakers held the second of five days of debate on the Brexit deal Thursday, as former heads of Britain's foreign intelligence service and the armed forces claimed the agreement would threaten the country's security. 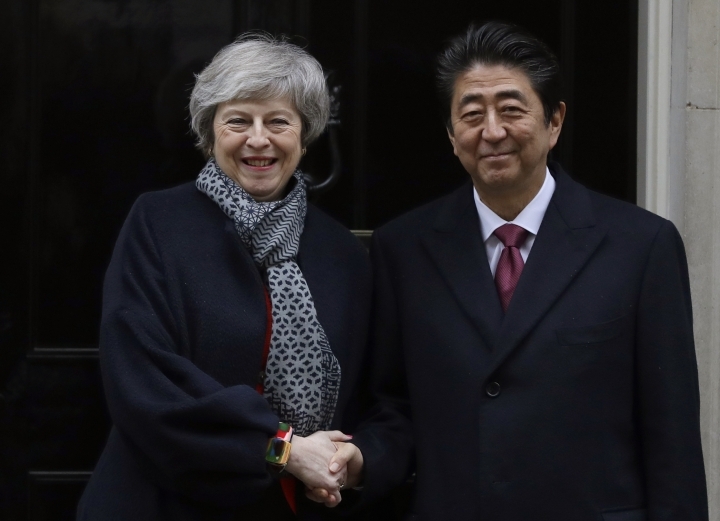 Ex-MI6 chief Richard Dearlove and former Chief of the Defense Staff Charles Guthrie wrote to local Conservative Party associations saying the agreement would "place control of aspects of our national security in foreign hands." The two said the deal — which calls for the EU and the U.K. to maintain close security ties — "cuts across the three fundamentals of our national security policy": membership in NATO, relations with the United States and membership in the "Five Eyes" intelligence alliance with the U.S, Canada, Australia and New Zealand. May's office said the claim made in the letter was "completely wrong. Nothing in the Withdrawal Agreement or our Political Declaration cuts across NATO, our defense or intelligence relationship with the USA or with the Five Eyes alliance."